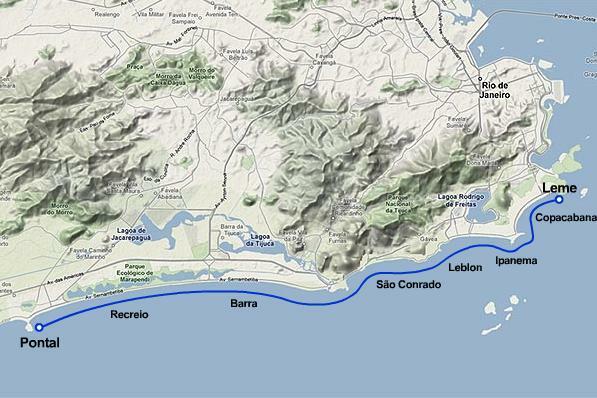 There are several large beaches in Rio. They are quite easy to find as all seem to be lined up one right after the other. 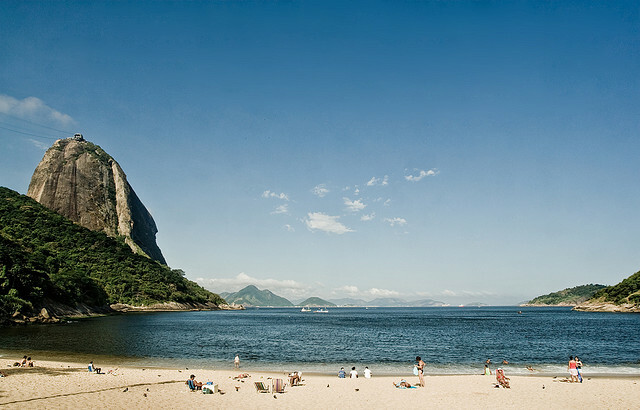 There is a beach in Rio for every kind of leisure. Whether you want to go to relax, enjoy the sun, surfing, exercise, walking, kite surfing, play beach soccer or volleyball from Leme to Pontal, it is 40 km with the most beautiful beaches in Rio. 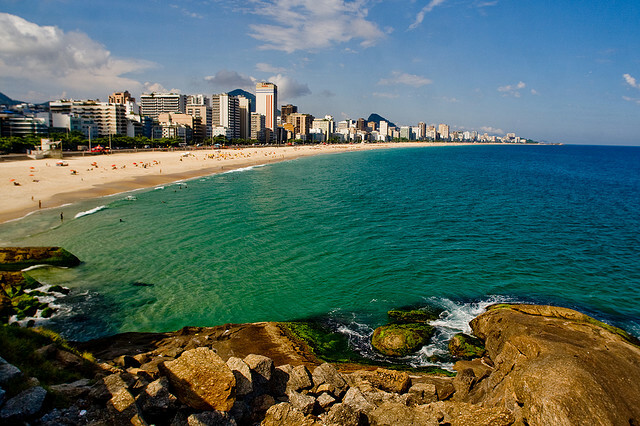 The largest and most popular beaches going from north to south are Leme, a quieter and more visited by families, Copacabana, mostly frequented by tourists, Ipanema, Leblon and Barra. 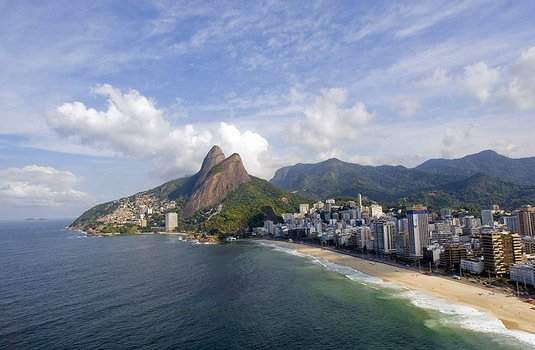 The most popular beaches are Copacabana and Ipanema beach. Barra is a bit further down the coast and is the perfect spot for windsurfing. Paquetá Island in the middle of Guanabara Bay is surrounded on all sides by beach. These beaches are popular with the locals. Ferries go back and forth to the island all day. 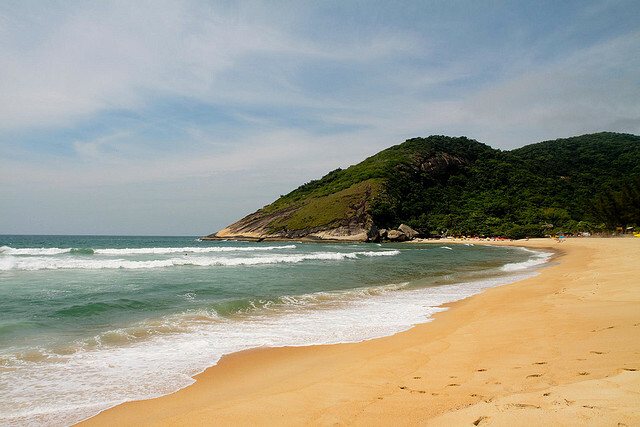 Grumari beach is not too from Barra beach and is less crowded than most of the other beaches. 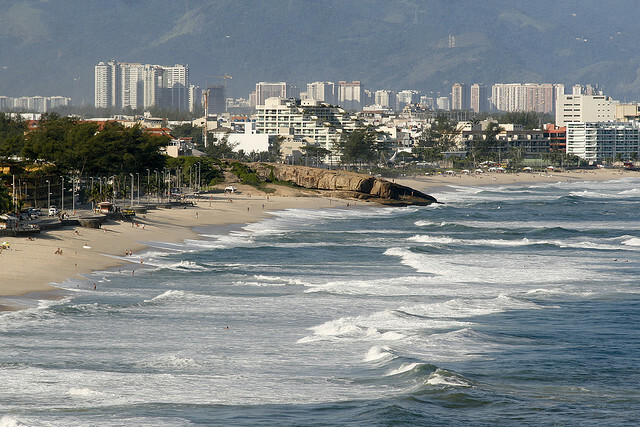 Joatinga Beach is popular with the cariocas and is considered to the most beautiful beach in Rio. Prainha is the surfer’s beach and can only be reached by car.